Our solutions for Aspect improves the efficiency of your call center for your customers, agents and business as a whole. Get started today by finding out how your organization can benefit from CTI! 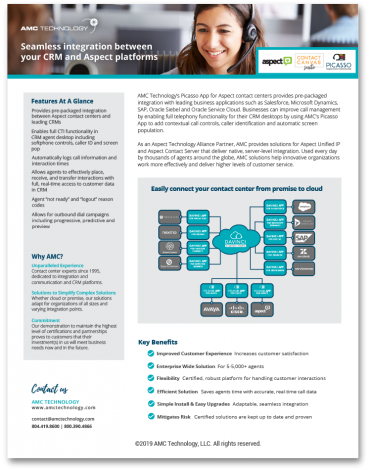 Fill out the short form to get this datasheet on our solutions for Aspect. Get your FREE Datasheet today! This is your first step, your “sale sheet” of our Microsoft Dynamics solution. The one thing you can do to improve your contact center, today. Are you ready to discover how our solution can help shave seconds off of your contact center call times & agent work activities?